Photorejuvenation for a youthful complexion with skin tightening. 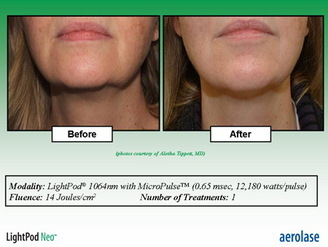 Intense Pulse Light (IPL) Restores your Skin’s Youthful Complexion. Is an innovative, non-invasive rejuvenation technique which involves pulsations of light passing through the skin. It is non-ablative; meaning no skin is removed. It is a highly effective treatment for a variety of skin conditions, for both males and females, and can be used effectively on the face, neck, chest and hands. This breakthrough treatment involves directing energy of the correct fluency and wavelength to the treatment area by gently placing a smooth glass surface on your skin; pulses of light are then applied . The energy is delivered to both superficial and deep layers of the skin, sparing the epidermis. The result is an exfoliation of damaged skin coupled with the stimulation of collagen production on the skin’s surface. The “no-downtime” feature is greatly appreciated by clients/patients. Not everyone is a candidate for IPL Therapy. Only a qualified dermatologist can determine if you are eligible for treatment. What conditions can IPL technology for Photorejuvenation treat? Other benefits include: smoother, more revitalized skin and improved skin texture. Over time, various factors such as chronological aging, trauma, sun exposure and lifestyle choices could cause the tiny blood vessels called capillaries to break. This results in red streaks or a blotchy appearance on the face. The harmful effects of the sun could result in pigmentation changes in the skin. Commonly referred to as sun/brown spots, this unwanted pigmentation is typically most visible on the face, chest, neck & hands. IPL technology works by improving both the superficial and deeper layers of the skin, thereby rejuvenating the skin. A series of treatments will result in a significant reduction in the appearance of sun spots, and in smoother, revitalized skin. Dilated blood vessels and chronic flushing are symptomatic of a condition called rosacea. This condition can cause pimples and/or blisters on the nose and cheeks. Individuals suffering from this red-faced appearance can be treated by IPL without injuring the surrounding healthy skin. Once you have taken the first step of booking a complimentary consultation for laser hair removal, the laser hair removal specialist will assess the area(s) of concern, discuss all details of the treatment including expectations and pre-treatment protocols, while addressing any concerns and questions you may have. At this time a patch test on the desired area may be performed at the appropriate laser parameters upon request. Prior to a laser hair removal treatment, all surface hair is removed by shaving or snipping to prevent any damage to the skin. The laser emits a near-infrared laser light that is absorbed by the pigment located in the hair follicle. The laser system generates heat in the hair shaft, which diffuses to the stem cell and matrix targets to cause desired damage. In addition to the treatment protocol, it is important to know the growth cycles of hair. Hair growth has three stages: Anagen (active stage), Catagen (regression) and Telogen (resting). In order to achieve permanent laser hair removal reduction, ideally the hair follicle should be infected by the laser during the anagen or active stage of hair growth. Since approximately 10-20% of hairs are in this active growing stage at the same time, 5-7 laser hair removal treatments are generally required for best results.